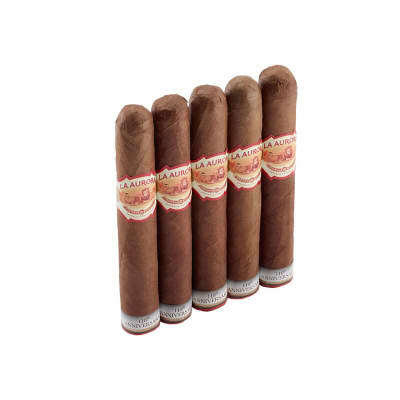 This unique La Aurora Preferidos Robusto may be called the 'ugly duckling' of the family since it's not the usual Double Perfecto shape, but its rich, full-bodied flavor is utterly gorgeous. Oak barrel-aged Dominican tobaccos and African Cameroon wrappers make for a rare and luxurious treat. I was absolutely shocked at the quality of this cigar. La Aurora is always good, but this cigar was far and away the best. 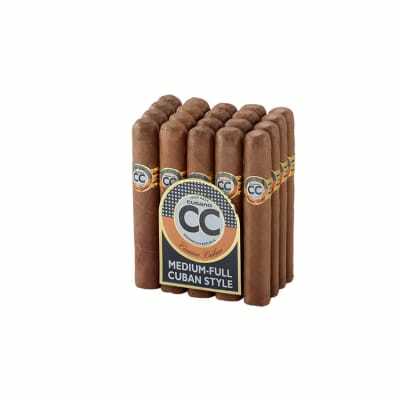 Spicy, flavorful, smooth, peppery/spicy, well constructed, taste gets better as you smoke more, even draw/burn, a knuckle burner. Honestly, one of the best I've had. Treat yourself. A superb full flavored cigar! This small Robusto lasted 70 minutes. By far, the most noteworthy feature was the exceptionally good taste and aroma. 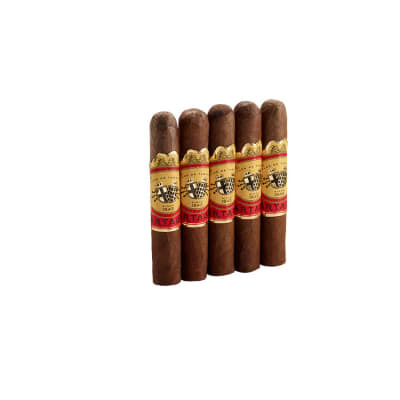 If you like a full flavored cigar, you've got to try this one. It would have scored a perfect 10 with me except for the moderately uneven burn. The burn was even at first, then about 1/2 way it became somewhat uneven. I got it even but in the last 1/4 it became uneven again. Bottom line: a great cigar and I'll be buying more. It is now one of my favorites. 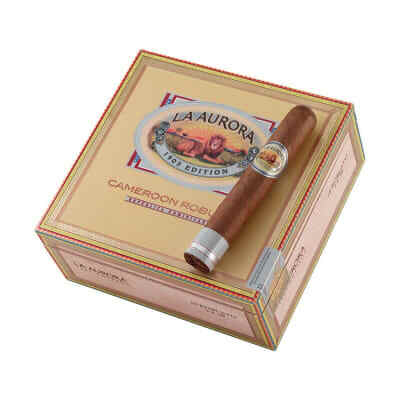 Arguably the best stick La Aurora craftsmen make. I've tried everything with a La Aurora label and this lovely, oily, toothy cigar loads the mouth with barrel wood and cream. It's effectively balanced and has a cocoa/ spicy finish right down to the nub. I smoked half the box already and the quality of this robusto is awesome. These taste better than the any of the perfectos in this line. I smoked the first release at the Big Smoke in Las Vegas 2005 and fell in love with them right away. I liked them so much my fisrt box is almost finished and the SECOND BOX is aging as we speak. Great full flavor full of cedar and tobacco. Excellent construction.